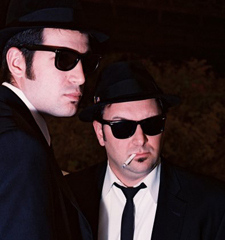 THE BLUES BROTHERHOOD...The Ultimate Tribute to the "Blues Brothers," covers the best material from the original band as well as other classic blues, funk and soul tunes in a style unique to the "Brotherhood." They are based in Philadelphia, New Jersey and New York. ALL-STAR CAST: Tom "Bones" Malone played trombone & sax in the original "Blues Brothers Band." Tom was also the leader of The Saturday Night live Band & member of the CBS Orchestra, the house band for the Late Show With David Letteman.